BFSS was granted a Royal Charter in 1906 which is a very interesting, historic document. To see an abstract of the Royal Charter of 1906 and the Supplemental Charter of 1999 please click here. Changes to two paragraphs in the preamble were approved by the Privy Council in October 2014. To see these changes please click on Amendments to the Charter. The changes expressly state the charitable purpose for which the BFSS exists (which remains the advancement of education) and make clear that this is for the benefit of the public. They also refer to the fact that the way of achieving those aims was historically within the Charity’s own schools and colleges, but latterly the Charity has furthered its objects by offering support and assistance to other schools and educational institutions, some of which are overseas. A further amendment (under the section describing the principal methods by which the aims of the Charity have been pursued) reflects the fact that the primary method of fulfilling the objects is now by making grants and providing financial support. In October 2014 the Privy Council also approved changes to the BFSS’s Statutes. To see the revised Statutes please click here. The Statutes include provisions to update means of communication and to allow for ballots by postal, electronic or other means as agreed by the Council. 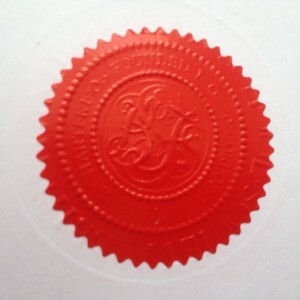 Other changes include the introduction of fixed terms of office for Councillors; new arrangements whereby all Councillors will be nominated and elected by Members of the Society; and the opening up of Membership to organisations as well as individuals interested in promoting the charitable objects of the Society. On 9 December 2014 the Council agreed new Bye-laws which contain additional provisions applying to Council meetings and General and other meetings of the Society. The Bye-laws are updated periodically by Council, on the latest occasion in March 2018. To see the latest Bye-laws please click on Bye-laws.